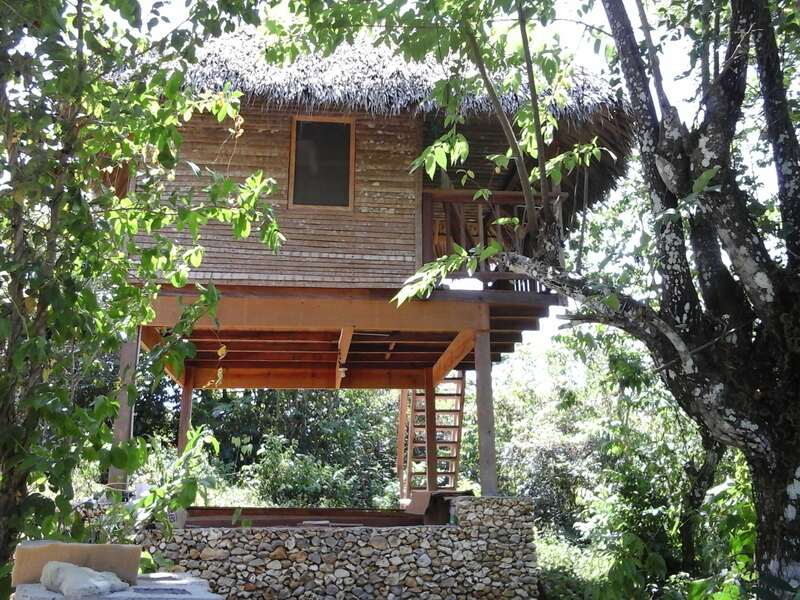 Taino Farm is a permaculture inspired, agro-tourism demonstration and education center inspiring sustainable, nutritious food, hidden away on a tropical river outside the surf town of Cabarete, on the north coast of the Dominican Republic. The Taino Organic farm is very cutting edge for the region, with modern aquaponics and water management systems, vermiculture, animal husbandry practices, as well as apiculture and aquaculture. The systems are so advanced for the Dominican Republic that some of the country’s best Universities take field trips out to visit the farm to learn more about it’s systems. Currently the Taino Organic Farm also supplies about half of the ingredients for our beachfront farm-to-table restaurant at The eXtreme Hotel, meaning many of the organic veggies and free range poultry that may find their way onto your plate during your stay with us. So of course, on of our favorite trips is a tour of the Taino Organic Farm. This half day experience will teach you about aquaponics and sustainable agriculture, as well as get you into the local culture of rural Dominican Republic. 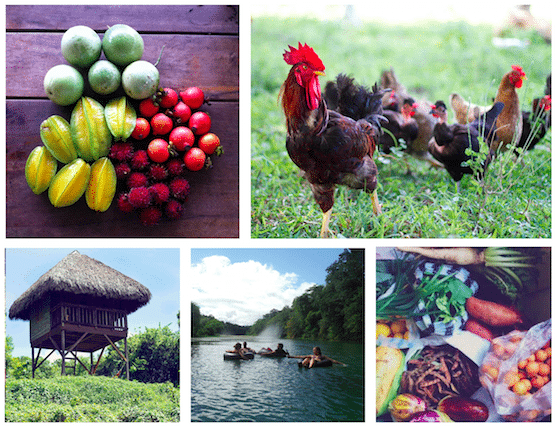 The Taino Organic farm grows a variety of fruit, vegetables and super foods which you’ll be able to taste fresh off the trees during your tour! 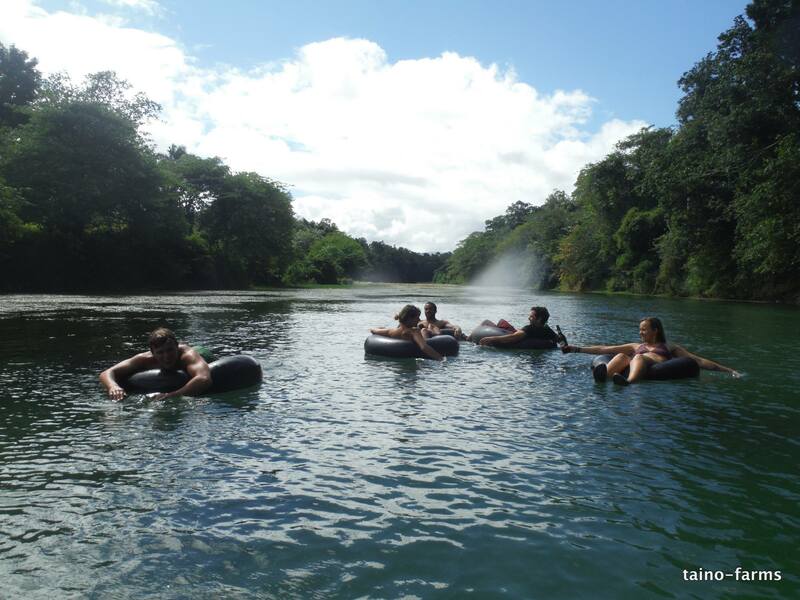 After the farm tour, you’ll grab your inner tube and your sunscreen and head down to the beautiful Yasica River. The cooling fresh waters will be your guide as you float peacefully downstream. About half way down the float, adventurists are invited to scramble up a jungle side cliff and jump from an overhanging tree into the crystal waters below. The whole float takes between 1 to 2 hours, and It’s amazing how a relaxing river float will really build up your appetite, so afterwards you’ll enjoy a homemade lunch prepared from fresh organic produce. Farm Meals are typically vegetarian, and more importantly incredibly nutritious and delicious! Tours are only $50/person including transport from the extreme hotel, a guided tour of the farm and the aquaponics followed by a lazy river float with a beer and a delicious farm to table lunch. Contact us today to book yours! We must have a minimum of four people to run the tour, so book with friends! or email us for availability!